If the rock outcroppings in the photo below don’t look natural it is because they were man-made. The formations are the result of over two hundred years of granite quarrying for stone used to build everything from the cornerstones of banks to the Bunker Hill Monument. 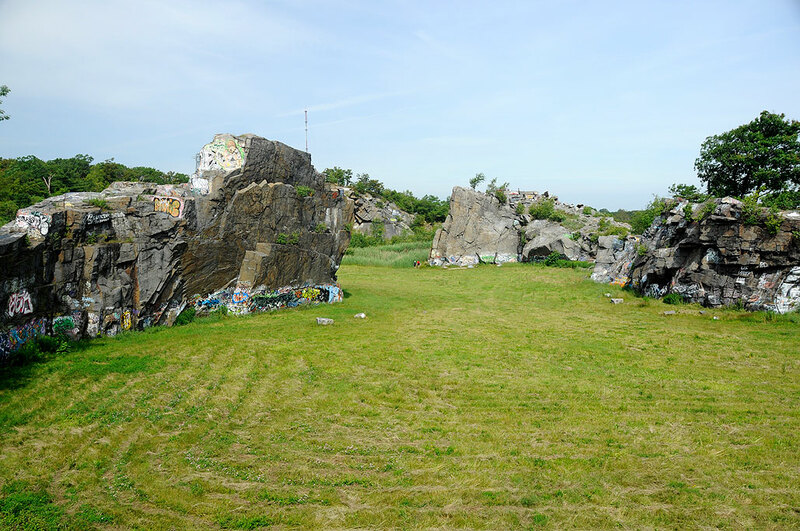 The Quincy granite quarries are amongst the oldest in the country. They began in the 1700’s, ceased operation in the 1960’s, was purchased by the MDC in the 1980s, and are now managed as part of the Blue Hills Reservation. After the quarries closed in the 1960s, they became filled with water and were popular with the locals for swimming, diving, and rock climbing. Its popularity was a struggle for the police as public safety was a constant issue. Numerous attempts, none of them successful, were made to discourage the more dangerous practices such as cliff diving. Some of them (floating old telephone poles) actually made matters worse. Divers going in to retreive one body would sometimes find others. The solution finally came when they decided to fill in the quarries with the dirt from the Big Dig project. The now partially-filled quarries are much less of a headache for the police and accessible for everyone to enjoy. The outcroppings are still a favorite with rock climbers, but the wide open fields are now suitable for many other activities (x-country skiing, hiking, wedding ceremonies, etc…). You don’t need to be a rock climber to get to the top. 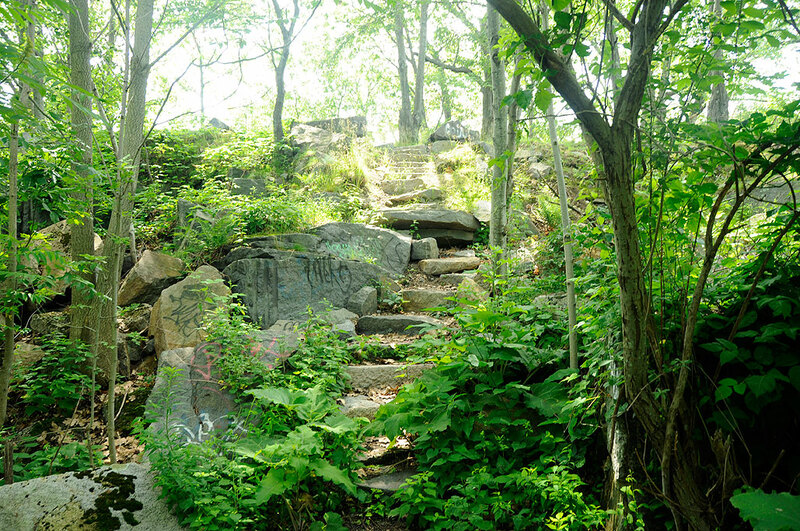 Both the rim of the quarries and the grassy base are easily accessible on foot. There are marked trails as well as plenty of areas to just roam around. While the quarries are safer for public use today, common sense and care must still be taken while visiting. It is important to watch where you step. Sensible shoes are a must as there are still plenty of reminants from the days when this was a working quarry. Most of all, remember to pack out what you pack in and to keep it just as nice for the next visitor!